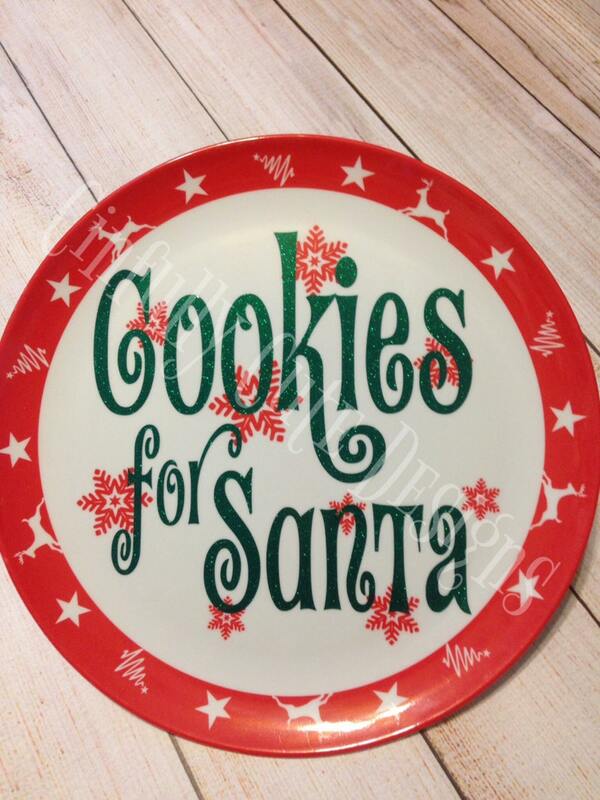 Your kids can leave Santa's cookies out in style with a Cookies for Santa plate!! Standard size acrylic / plastic dinner plate in red, white, green, or snowflake design, subject to availability. Vinyl colors for text: white, red, green, black -- in glossy or glitter. Please convo me with any questions prior to purchase. At purchase, please indicate style of plate, color and type of vinyl, and font in Notes to Seller box. All of my items are custom made by me in my smoke free studio. Please also visit my Facebook page for lots more items!